Marc Wallerce, owner of Winthrop Marketplace in Winthrop, said the rising minimum wage will ultimately affect everyone he employs. Massachusetts has the highest state minimum wage in the country following the $1 increase to $11 an hour that went into effect Sunday, but campaigns are already underway here and across the country for the lowest-paid workers to earn much more. A union-backed movement known as Fight for $15 has helped win approval of minimum wages that in future years will exceed today’s top rate, even in traditionally conservative states. By 2022, seven states will have climbed to $12 or higher, including $13.50 in Washington (which also went to $11 on Jan. 1) and $15 in California and most of New York, where increases will phase in depending on the size of the employer and the location. Some cities — including Seattle, Washington, D.C., Los Angeles, and San Francisco — have also raised their base hourly pay to $15. “National momentum has shifted in a short time toward much higher minimum wages,” said Paul Sonn, general counsel at the National Employment Law Project, a workers’ advocacy group in New York. Minimum wage laws vary across the country and even across the region. The momentum behind higher wages may be challenged by Republican control of the White House and Congress. While Donald Trump won the presidential election with the support of blue-collar workers who feel left behind by an increasingly high-tech and global economy, he has sent contradictory messages on boosting pay. His pick for labor secretary, Andrew Puzder, has said he opposes significant increases to the minimum wage. The federal minimum wage is unlikely to rise from $7.25 an hour, where it has stood since 2009. Meanwhile, the Service Employees International Union, the driving force behind the Fight for $15, is slashing its budget in anticipation of GOP efforts to make it harder to recruit members and collect dues, and there is concern among some in labor that the SEIU could pull back from the campaign. Still, advocates are at work in many states to extend the wage gains made in recent years. 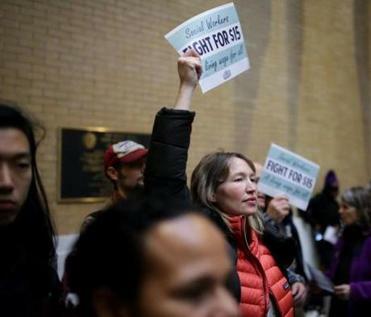 Raise Up Massachusetts, which pushed lawmakers to lift the minimum wage from $8 to $11 over the course of three years, is already drafting legislation to bump up the state minimum to $15. A $15 minimum wage may also be on the ballot next year in New Jersey and taken up by legislatures in Connecticut, Rhode Island, and Vermont. In Massachusetts, nearly a half-million workers have had three pay raises in as many years, according to Raise Up Massachusetts. In some cities, including Lowell, Springfield, Worcester, and New Bedford, at least a quarter of the workforce has had a salary bump, either directly from the minimum wage hike or the resulting move to higher pay for those making slightly above the base, according to the Massachusetts Budget and Policy Center. A few extra dollars an hour can make a big difference for some people. One single mother planned to use the additional money to buy football equipment that would allow her 8-year-old son to play on a team, said Maria Fortes, an organizer with the Coalition for Social Justice in New Bedford. It isn’t just about the activity, it’s about having a coach who might serve as a male role model for her son. “For some of these parents, it is life-changing,” Fortes said. 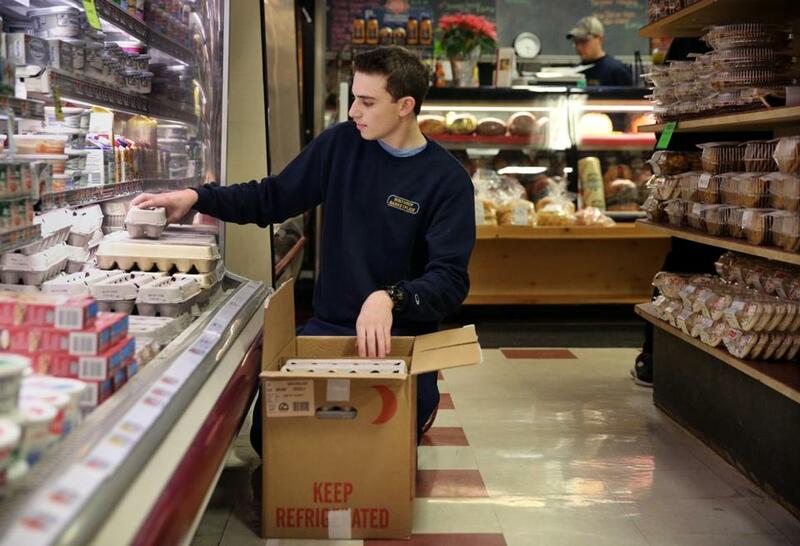 Part-time employee Sam Deeb, 18, stocked eggs in a cooler at Winthrop Marketplace. Immigrants who work in New Bedford’s fish processing plants are also grateful for the wage hikes, saying they have helped them pay for food, rent, gas, and medical costs, said Adrian Ventura, executive director of Centro Comunitario de Trabajadores, the local community workers’ center. But a few of them told Ventura that their employers have started demanding more work out of them now that the wage is rising to $11. For Dunkin’ Donuts employee Jena Benson, the succession of pay raises has barely registered. 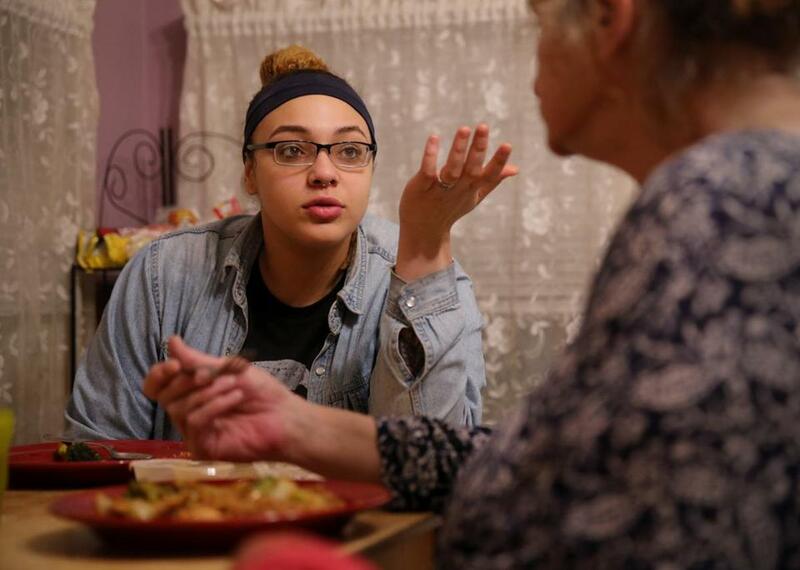 Benson has been working close to full time since she was a high school student in South Boston, helping her disabled single mother pay the bills. For some small business owners in Massachusetts, however, the effect of the wage increases has been significant. The owner of two family entertainment centers in Massachusetts said she has reduced her staff to 20 people, down from 50, over the past two years, to counteract rising payroll costs. The employer, who asked not to be named because she feared repercussions from workers’ advocates, said she and her husband have cut their hours of operation, replaced their DJ with canned music, and are working more themselves to stay afloat. They have also stopped hiring teenagers in favor of more experienced workers. At Winthrop Marketplace, Marc Wallerce estimates that his payroll will have risen $100,000 over the course of the three wage increases, which includes insurance and workers’ compensation costs tied to salaries. His older workers all make well over $11 an hour, so the raises have mostly been going to the students he employs at the grocery store. Wallerce said he has not cut back on his nearly 60-person staff, as he initially feared he might have to do, nor has he scaled back bonuses. Still, the bottom line is smaller than it used to be. “Are we feeling the pinch? Absolutely. Every day,” he said. On Sundays and holidays, the pinch is even tighter, when retailers in Massachusetts have to pay their workers time-and-a-half. That means 16-year-olds will now be making at least $16.50 an hour on Sundays. Massachusetts is one of only two states with this Sunday requirement, and one of 11 that don’t have lower wages for teenagers, according to the Retailers Association of Massachusetts. 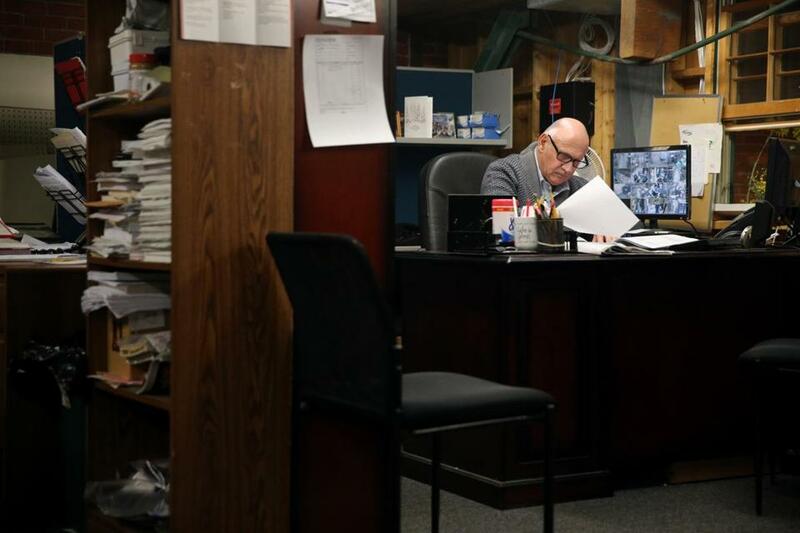 The increase to $11 an hour is particularly difficult to absorb for business owners outside the Interstate 495 loop around Boston, where the economy is not as strong, said Bill Vernon, Massachusetts director of the National Federation of Independent Business. And an increase to $15 an hour could be disastrous. But with momentum building toward higher wages around the country, a $15 statewide minimum wage is much less far-fetched than it seemed just a few years ago. Jena Benson (left) works two jobs and will get a dollar raise at Dunkin’ Donuts.